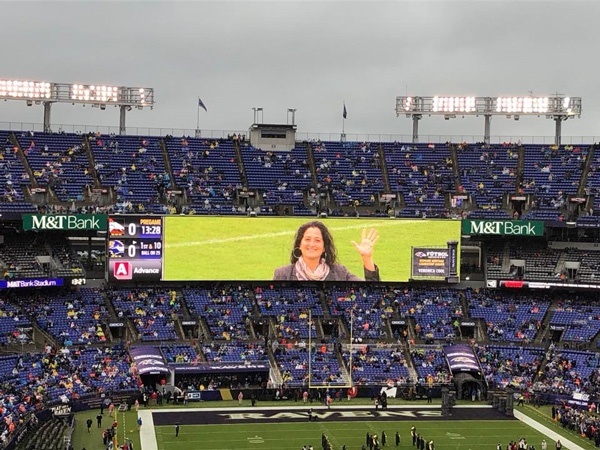 The Baltimore Ravens have selected Veronica Cool, founder and managing director of Cool & Associates LLC, as the recipient of the 2018 NFL Hispanic Heritage Leadership Award. Cool will be recognized for her achievements at this Sunday’s (9/23) game against the Denver Broncos. The NFL and the Hispanic Heritage Foundation (HHF) have partnered for the eighth-annual award presentation, which coincides with the 2018 celebration of Hispanic Heritage Month. The award recognizes the contributions of local Hispanic leaders in each NFL market. An award-winning founder, Cool spent 20 years in the corporate sector until in 2011 she started Cool & Associates LLC, which provides a multitude of services to the Maryland community. Some of the services offered include Hispanic marketing and community outreach, recruiting, staffing and financial. With the organization’s goal to integrate the Hispanic market with mainstream American culture, Cool aims to find the best ways to engage the Hispanic community and create greater access to both Hispanic and American cultures. Cool’s innovation and leadership has led her to earn several prestigious awards, including The Baltimore Sun’s “25 Women to Watch” in 2016 and Daily Record’s “MD Top 100 Women.” She was also inducted into its Circle of Excellence and earned the U.S. Hispanic Chamber Ultimate Latina Award in the corporate sector. Her dedication and passion have also led Cool to work opportunities in prestigious positions: Maryland Governor Larry Hogan appointed her to serve on the statewide Governor’s Workforce Investment Board, former First Lady Michelle Obama recognized Cool for her commitment to mentoring youth at the National Mentoring Summit, and she served as co-chair on former Maryland Governor Martin O’Malley’s Gubernatorial Transition Steering Hispanic Team. In addition to Cool’s extensive government work and her growing business, she still finds time to volunteer countless hours to causes dear to her heart in the Baltimore community. She currently volunteers and serves on several boards, including Open Society Institute, and she is a proud member of the Hispanic Leaders Association, Latino Providers Network, Latinas Think Big and SHIFT Baltimore. The Hispanic Heritage Foundation (HHF) – a nonprofit established by the White House in 1987 – inspires, prepares and connects minority leaders in the classroom, community and workforce to meet America’s priorities. HHF also promotes cultural pride, accomplishment and the great promise of the community through public awareness campaigns seen by millions. HHF is headquartered in Washington, D.C. and Los Angeles, with satellite workspaces in New York, Silicon Valley, San Antonio and Miami.